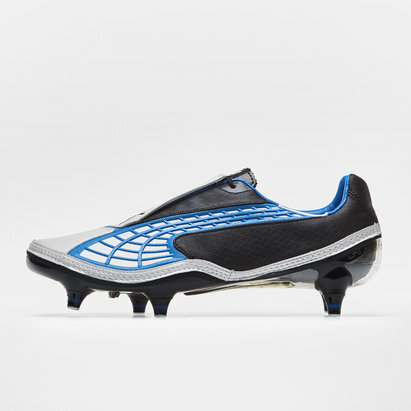 Ever wanted to play rugby in a slipper, well the Puma V1.11 SL FG Rugby Boot provides that feeling with everything about this boot designed to be super light, fast and efficient. 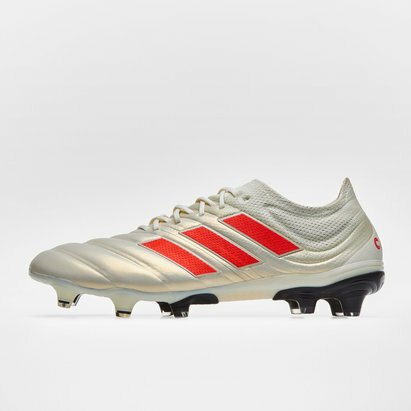 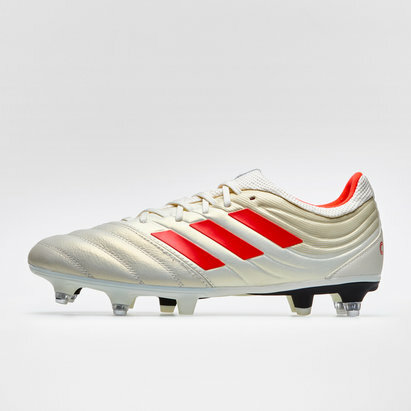 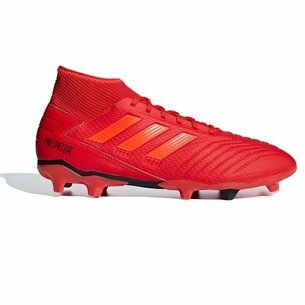 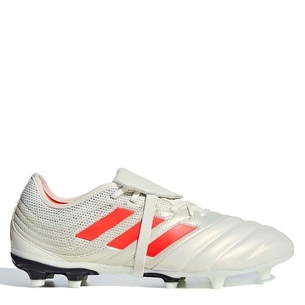 Picking up a pair of these boots in their box, you would be forgiven for thinking that it was empty. 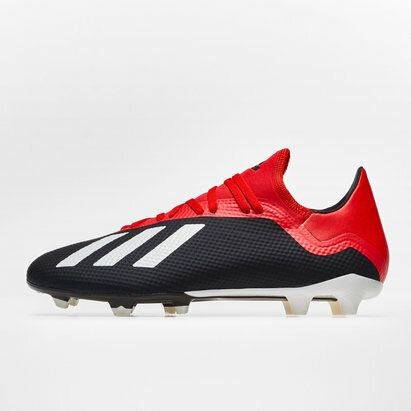 Weighing in at a lightweight 150g (UK size 8), these boots feature an ultimate lightweight micro-fibre upper material to provide stability and support. 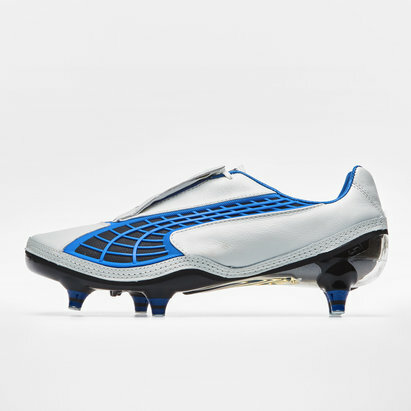 Underneath and the technological advances continue with a carbon fibre plate in the sole minimising weight and increasing reactivity in the flex area. 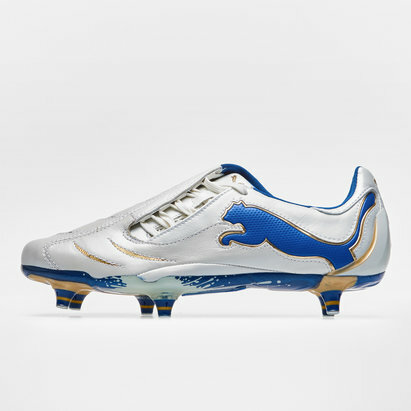 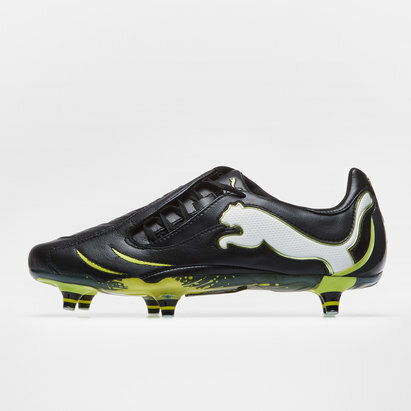 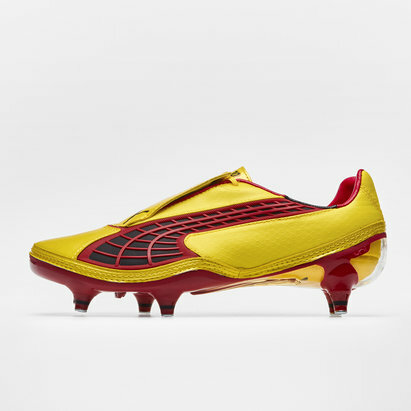 With a snug fit replicating the unique Puma AptoLast, players are left feeling as though they really are running on air, giving you the confidence to be your fastest across any rugby field. 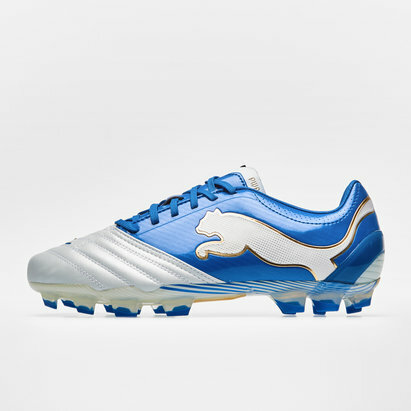 The striking Dresden blue, white and lime punch colour combination is further complemented by the Puma cat logo striding across the inner-side and trademark logo on the heel.